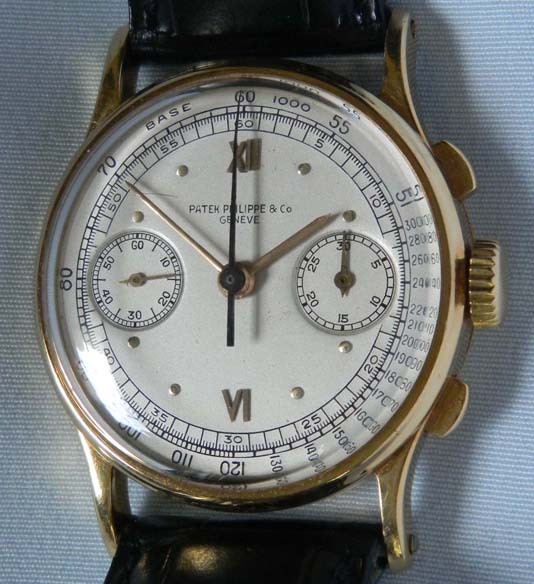 Fine and very scarce Patek Philippe 18K gold vintage wrist watch with chronograph and register circa 1941. 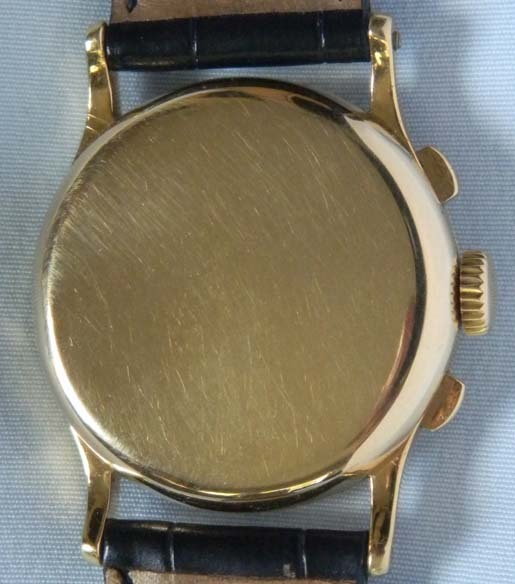 Original silver dial (small scratch and minor scuffing) with black markings, gold applied indications and gold hands. 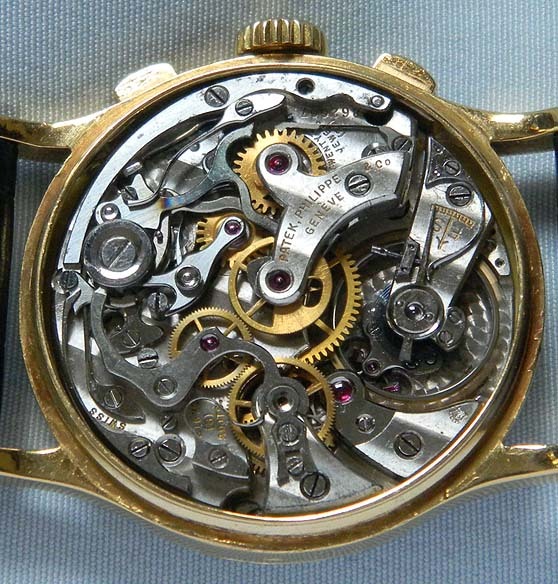 The case with the chronograph buttons in the band. 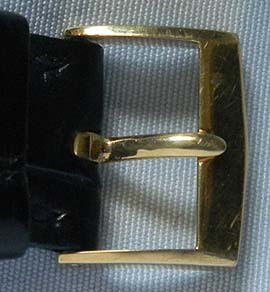 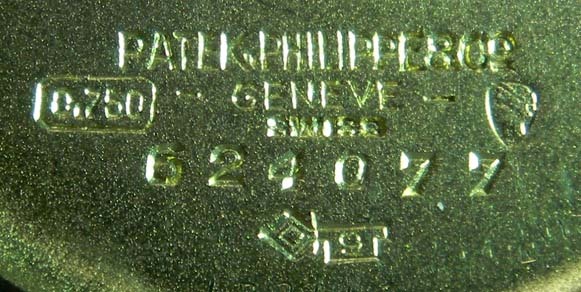 With original Patek 18K buckle.